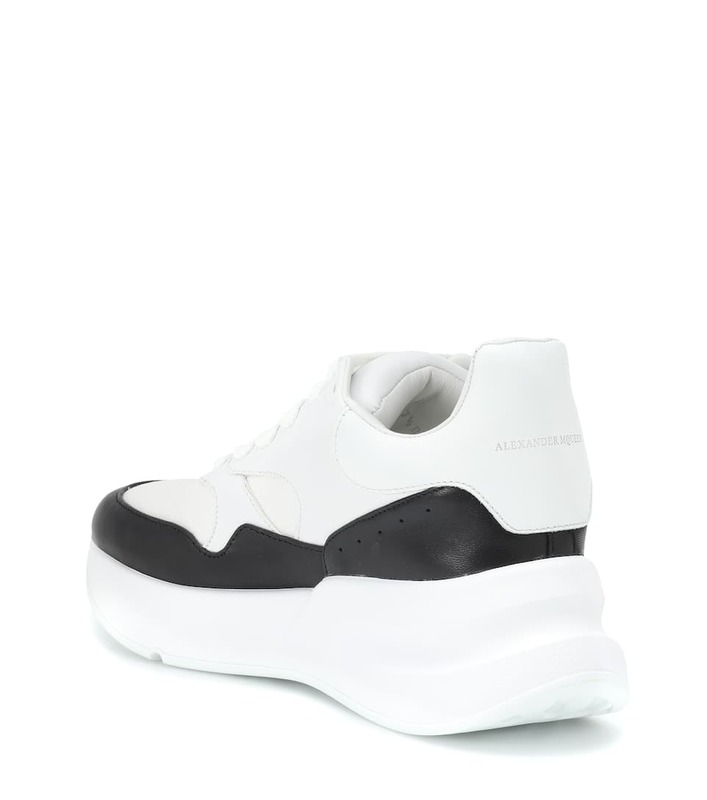 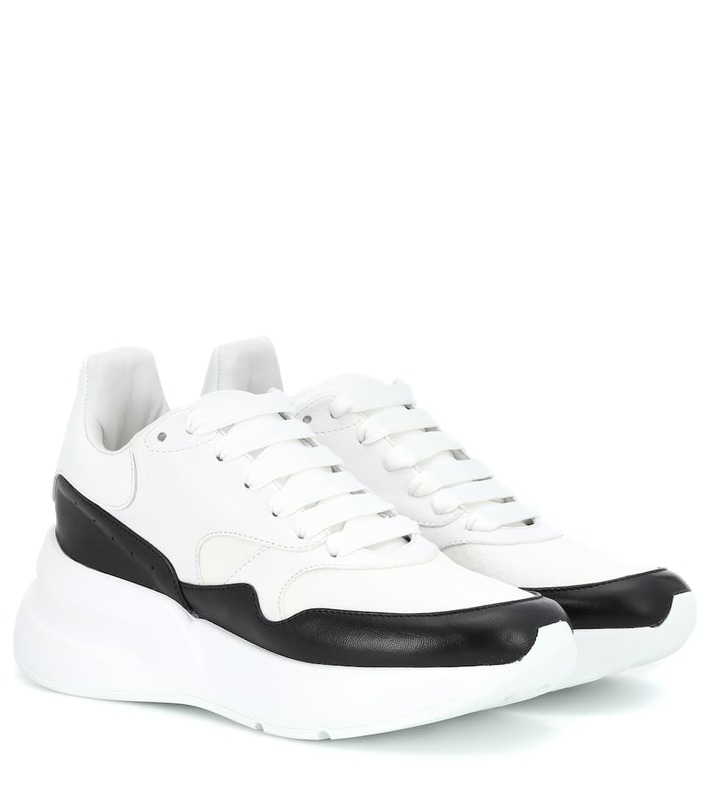 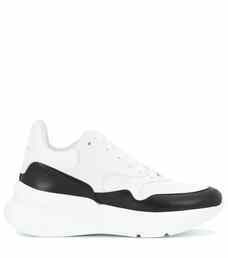 Alexander McQueen's white leather sneakers come ready with plenty of street style attitude and amplifying height. 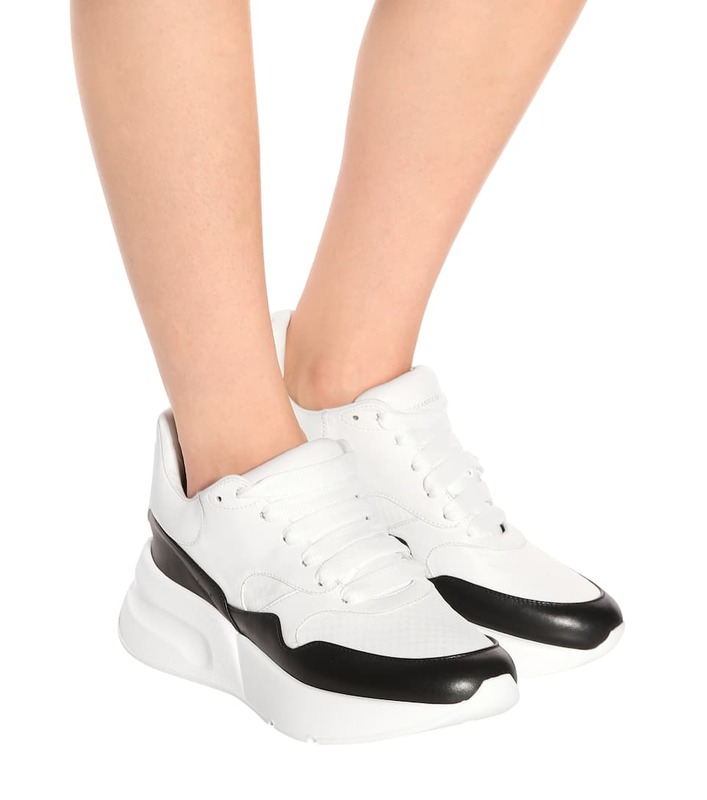 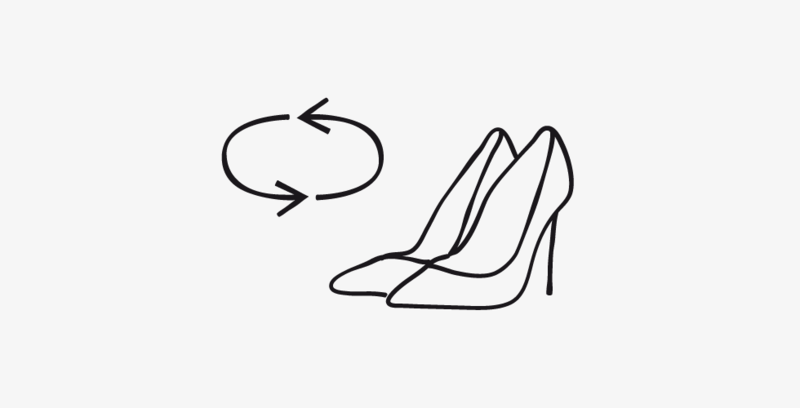 A chunky white platform heel, bold black paneling, and a sporty silhouette ensure this oversized pair will add statement impact to everyday looks. 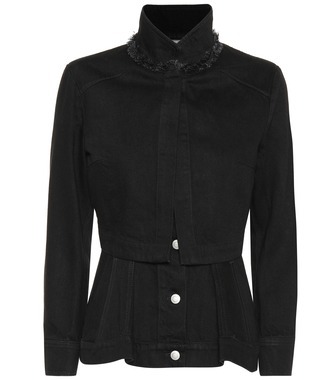 Team yours with distressed denim and a roomy black coat.